Friends, I have learned, come from unlikely situations and develop in unusual times. I found who my best friends were when I was flat on my back for months with a broken pelvis. I still cherish the times sitting around my darkened room talking with dear friends who gave up an afternoon or Saturday morning just to visit with me. 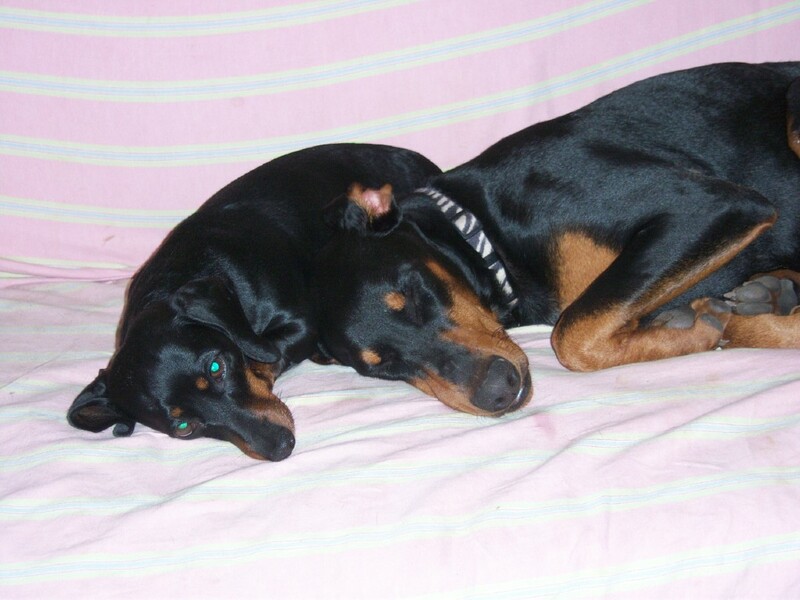 I will never forget Becky, my Doberman Wally and I, all up on my bed, chatting and making the long hours shorter. The Lindas did so much, for which I can never re-pay them. But it was a time to learn to let friends help. Some came from Houston, changed my bed and cleaned my house. Others were new friends who developed as the summer days grew shorter into fall. But I learned a lot about accepting help and hopefully something about giving back when it is my turn. One special friend sent me a get well card literally everyday for over three months. Each day Lauren would go to mailbox to retrieve my new card and it would always be there. She made an arbor of cards around my doorway that I could see from my bed. It is the little things that touch your heart. I can’t remember to send a Mother’s Day card on time and someone could send me cards for 90 days straight? That is a friend. Facebook has reunited me with friends from my younger days. Camille, Sondra, Liz, Thom and others, it is so great to catch up with you after all these years and know you are doing well. My animals develop friendships as well. Again, from unique situations, friendships grow. Our tiny Yorkie, Gia, has developed friendships with Sneaky, the Corgi. When we go for our walks, little Gia will clamp down on Sneaky’s chaps (her fluffy back legs) and hold on tight. Sneaky should be the herding dog but Gia does a great impression of one running and snapping at Sneaky’s back legs. Sneaky, who does not even tolerate Lauren touching her back feet, will for the most part, put up with this annoying ritual. She will occasionally turn and yap at Gia but mostly just powers on along our walk. Gia has also taken up with Chloe the cat. Being old and less than agile, I am sick of chasing the puppy around the yard. I started putting a leash on her when I go out to hay the horses at night. Perfect solution. 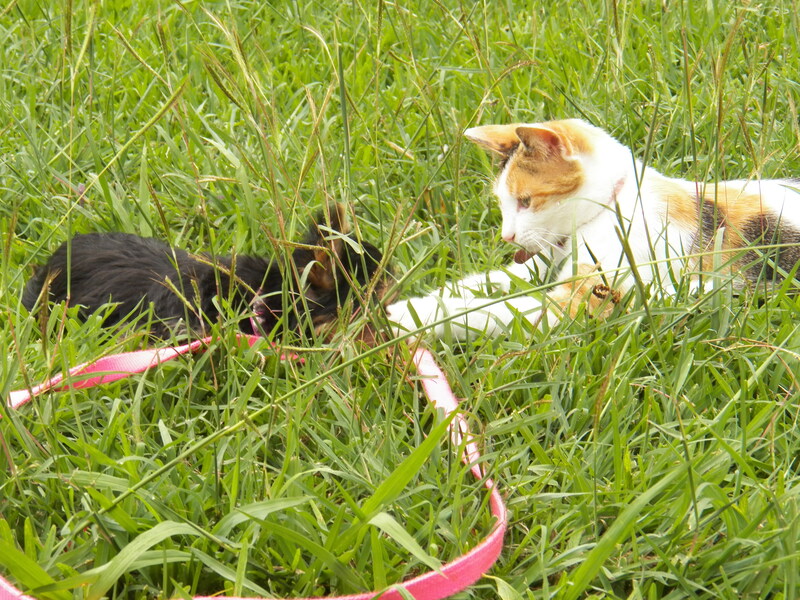 Gia runs with her pink leash trailing behind. Chloe, entranced, runs behind her, pouncing on the leash periodically and jarring Gia to a stop. Chloe never lets her get out of her sight. And since Chloe comes when she is called, it all works out. Leo loves Kid. He will stand with Kid tirelessly all day long. They can be found scratching each other’s back and taking turns at the water trough. Lula loves Kena. Or Kena loves Lula, I am not sure. But they can often be found cuddled together. They have no idea the picture of contrast they present. Pairs of the cats, seem to have taken up with one another. 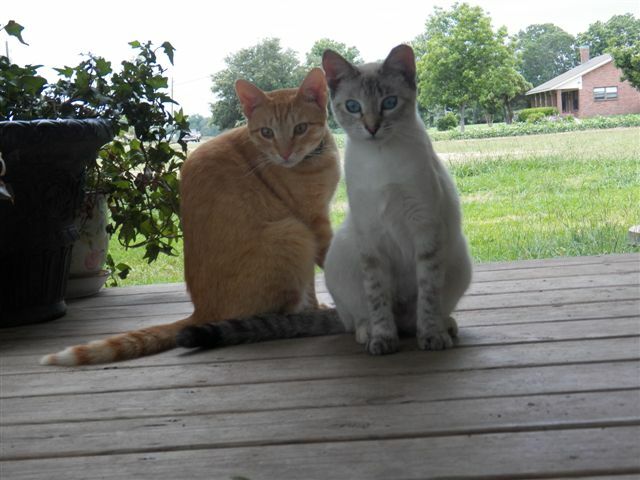 Orange, a big Tom cat, is constantly in the company of Siobhan, a delicate, pretty neutered female. He says he knows how to pick them. Our oldest cat, a neutered female named Alice is always in the company of Matt the Cat. I don’t know why they pair off. Perhaps they have learned their own lessons about friendship. Orange (or L’Orange as he says) with pal Siobhan. Lauren, my youngest daughter, and partner in this farm, is also my friend. Sometimes, that is difficult because I must count on her to be an adult and accomplish endless daily chores. If things do not get done they have huge ramifications. It can be hard to be her mom and her friend. We must count on each other. But we also keep each other company and support one another through the daily process of living. When I count what is important to me, my girls, all of which are also my friends and my outside friends take on the most important meaning. It was once said you could tell the caliber of man by the friends he keeps. Don’t know who said it but it is so true.